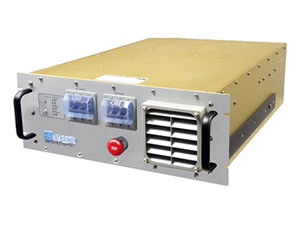 Nova Electric’s new Aircraft Grade UPSs are designed specifically for military airborne requirements in accordance with DO-160, MIL-STD-461, and other relevant environmental standards. These are the UPSs of choice for NAVAIR, Boeing, EADS, Orbital Sciences, NASA, the US Coast Guard, Raytheon, Lockheed Martin, and many other high profile airborne applications worldwide. Typically, these rugged, ultra light weight UPS models have aircraft power input of 115/200 VAC, 400Hz, three-phase wye, with single phase input also available, in power levels from 700W – 4KW. Rack Mount chassis measure 1-5U, with total weight starting at under 26 pounds including batteries. Please contact us today with your requirements!